Stephen Mopope was one in a Plains Indian artist's group known as the "Kiowa Five," who received academic training in painting from Oscar Jacobson at the University of Oklahoma in the 1920s. 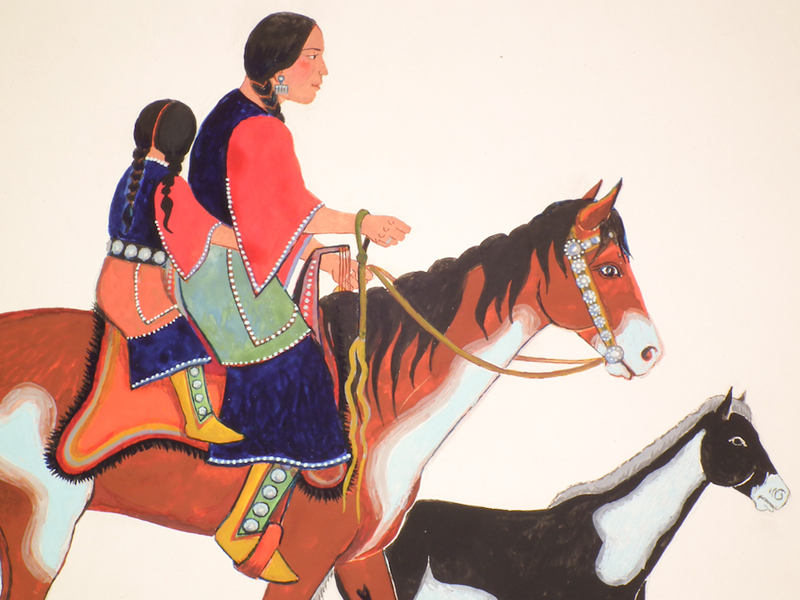 The Kiowa Five's painting style merged earlier, historical painting as seen on buffalo robes and ledger drawings with a more modern expression. 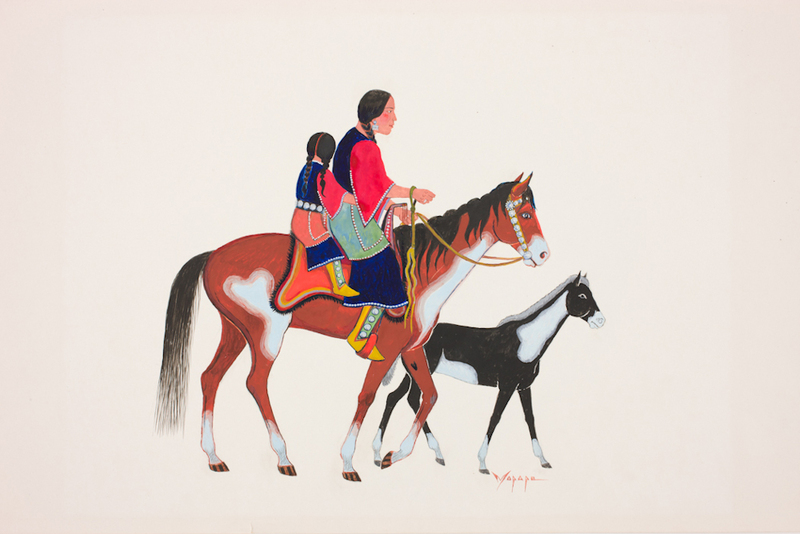 This painting, "Squaw out Riding," is characteristic of the Kiowa Five style in that the works are signed, and the figures are outlined, appear flat, and at the same time the drawing contains many curves and colors and illustrates daily life. Mopope went on to paint murals for the Works Progress Administration (WPA), a New Deal agency that carried out public works projects, including construction and arts.